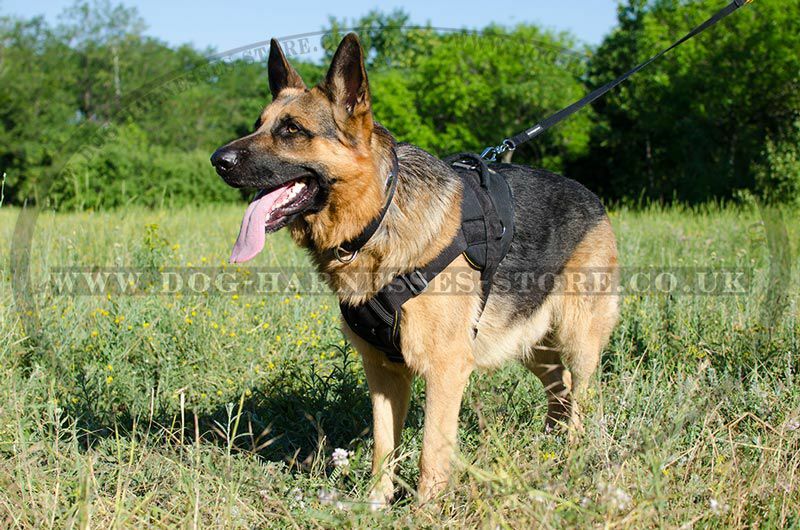 This German Shepherd harness is perfect for working with your strong and active dog! 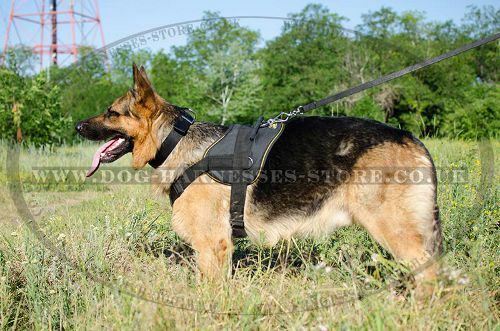 This ultimate dog harness is for for GSD training, dog sports, daily dog walking, exercising and other dog activities. Breast plate is soft padded to distribute the loading uniformly and to prevent the dog's breast rubbing. 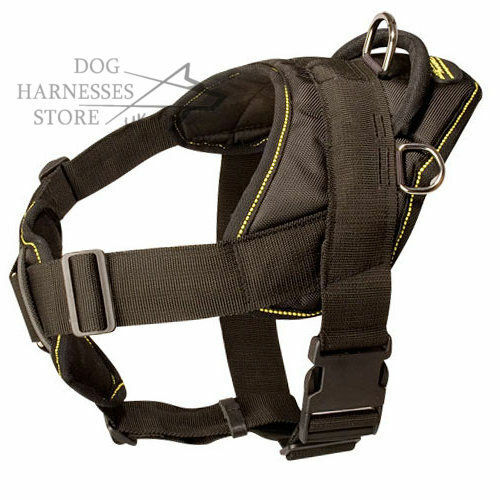 Padded dog harness has also an additional strap between the dog's forepaws to balance the loading. Nylon dog harness has a reliable nylon handle to control your German Shepherd. 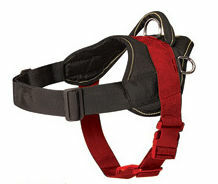 You can put on, take off the nylon harness with the help of quick-release buckle. 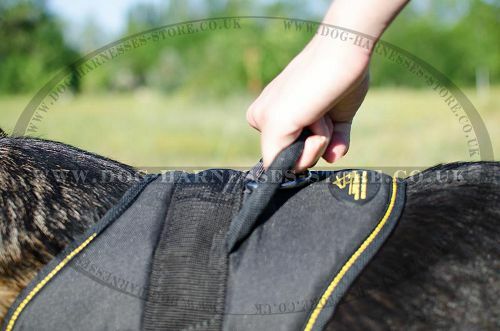 Dog sport harness is wet and water-resistant, so you can walk your dog in any weather! It's the best choice for your favourite! 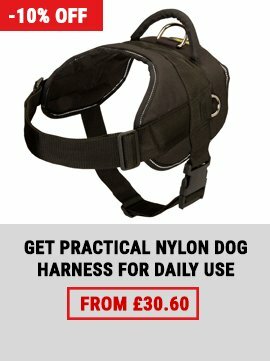 See the dog training ball on rope from the photo here. 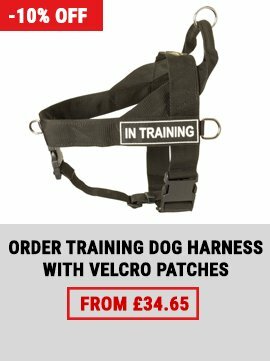 I ordered this harness to train my German Shepherd for French Ring. I'm totally in love with this gear. 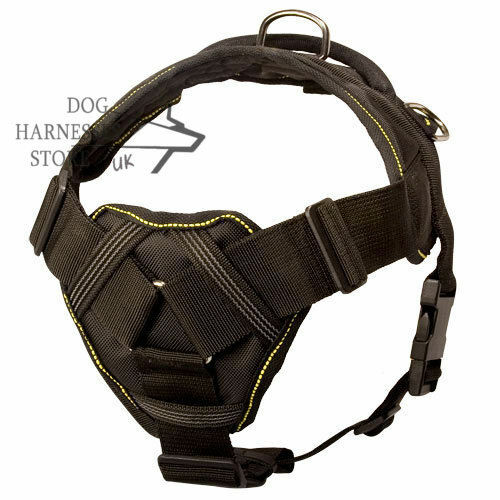 I've been looking for the harness with a chest plate and this one exceeded my expectations. 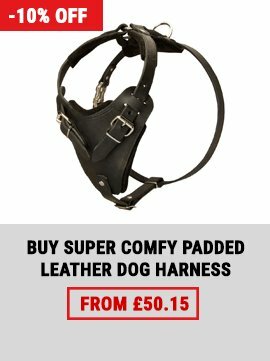 A lot of compliments and were given and many questions were asked to me from people about the harness and where I had got it.